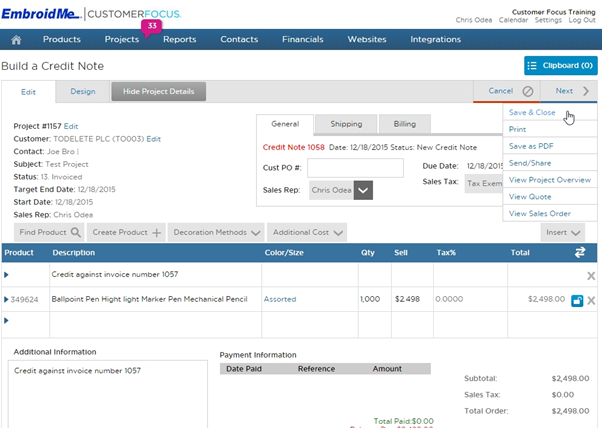 The following will walk through how to generate a credit note against a sales order in Vision. First, navigate to the project which contains the order you wish to credit. Click on the project number of the project you wish to edit to be taken to the Project Overview screen. A sales order has been created for the project in question. 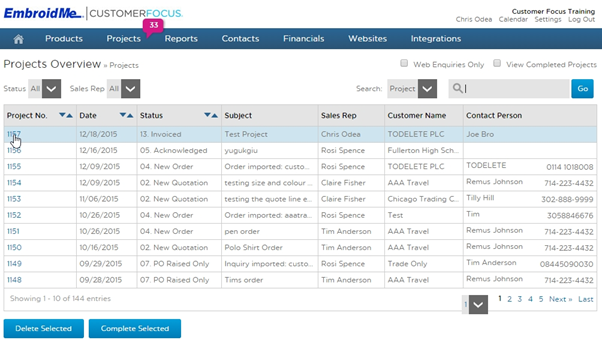 To create a sales order – Open the quote for the project. 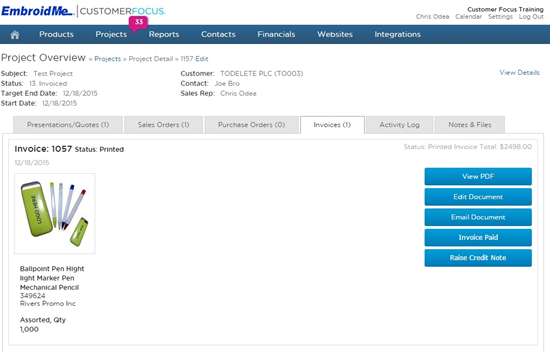 Hover over the ‘Next ->’ button in the top-right, and click on create sales order. After clicking the raise credit note button, you will receive a pop up asking if you are sure you wish to create this. Click yes. Following this, the ‘Build a Credit Note’ screen appears, where you can edit the details of the credit note if required. When you are happy, hover over the ‘Next ->’ button. From this drop down you can print the note, save as a PDF for emailing, or save the note and close it, returning you to the project overview screen.